View the PCAS Curation Guidelines. Curation workdays are normally the Saturday following the General Meeting. 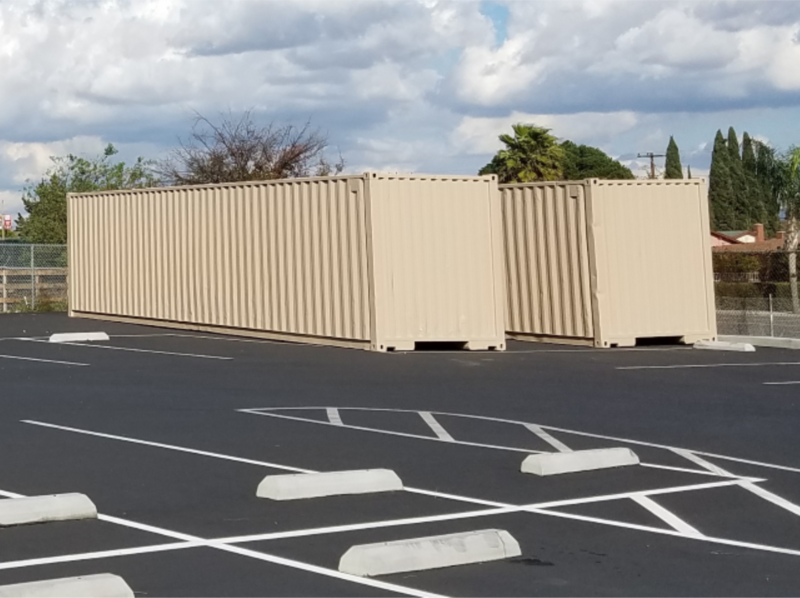 Workdays are at Mitchell School, the site of our storage containers. Volunteers are always needed and welcome. Absolutely no experience is necessary! Please contact Scott Findlay (714-342-2534, president@pcas.org) for information about the next PCAS curation workday. PCAS storage containers for collecitons. PCAS members at a curation workday. 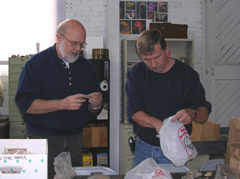 Dr. Hank Koerper and Scott Findlay examining unprovenienced material in the Curation Facility.